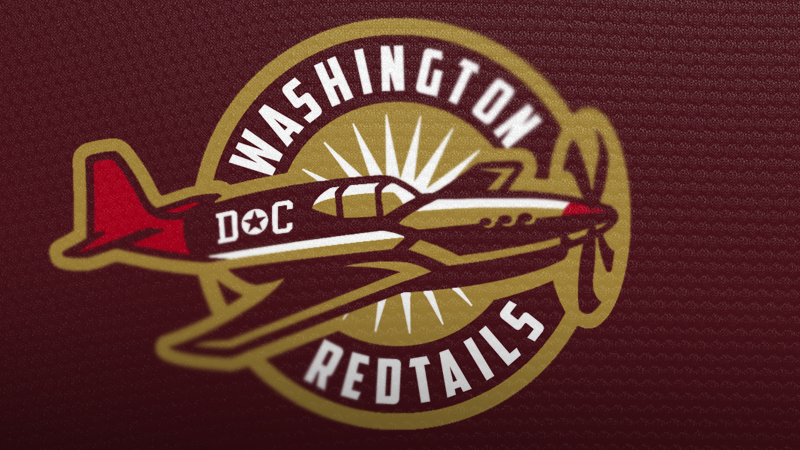 The folks at 99designs are running a community contest to rebrand the Washington Redskins with a new team name and logo. They reached out to a few journalists to get some suggestions—e.g. Warriors (Robert McCartney), Griffins (David Plotz), and Renegades (Ken Meringolo and Kevin Ewoldt)—but anything goes, as you can see from the neat submission above. 99designs has previously worked on logos for the Miami Dolphins and New Orleans Pelicans. Drop your logos in the comments below, or feel free to enter them in the 99designs contest.